Being a mother is one of the greatest blessings. Motherhood does not come with a manual, nor is it a salaried vocation. Yet, being a mother is one of the toughest and most rewarding responsibilities that there are. Most women work hard in general, but there is no commitment, no dedication, no diligence, no passion, and no sacrifice that compares to that of a mother. 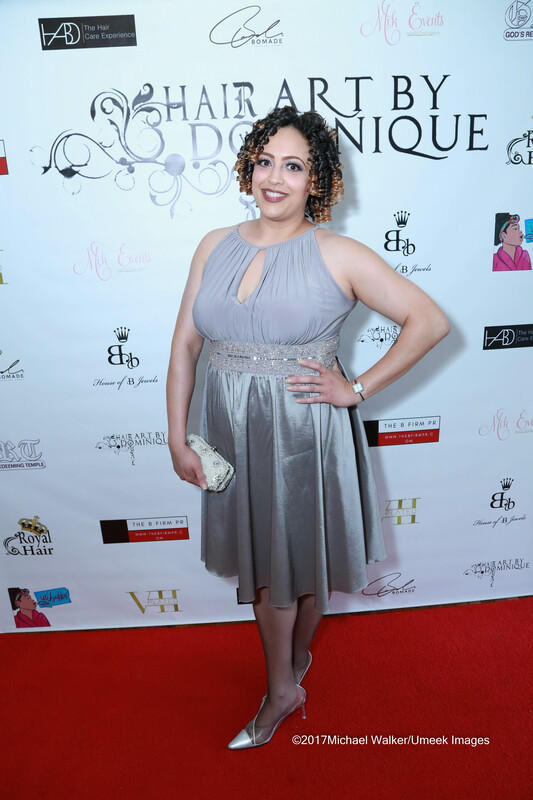 Celebrity hairstylist and entrepreneur, Dominique Evans (@hairartbydominique), understands this well, so much so that she curated an event to acknowledge and celebrate the individuality, unique talents, and efforts of mothers from all walks of life. Terminus 330, located in the heart of downtown Atlanta, is a premier venue with a quaint feel that is ideal for hosting your next intimate event. I had the pleasure of attending the 1st Annual Cocktails and Conversations event that took place on Sunday, May 14, 2017 at Terminus 330 in the heart of downtown Atlanta. 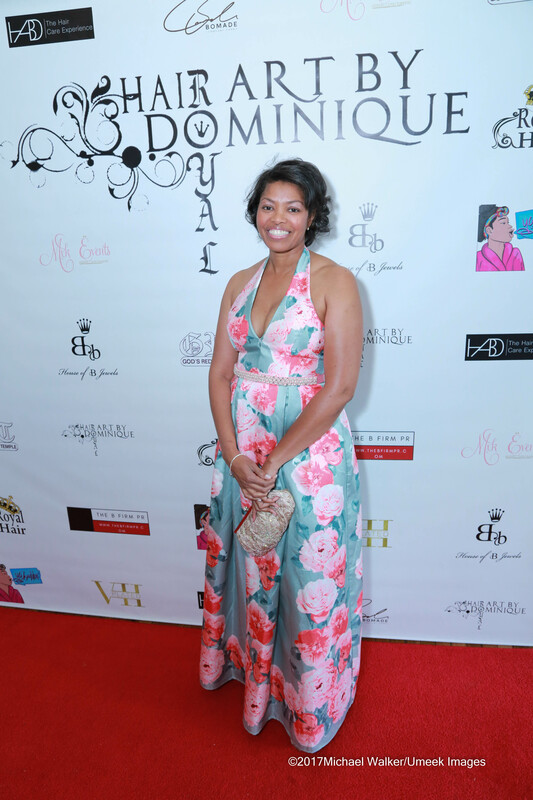 Upon arriving, I and other guests were greeted with a red carpet welcome. 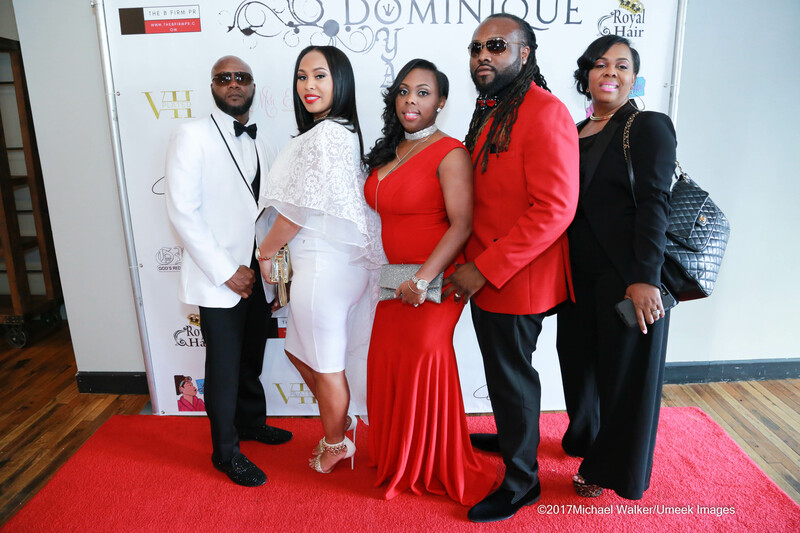 The ambiance was befitting for royalty, thanks to wedding and event planner MXKEvents, and indeed appropriate for the queens that were honored that evening. 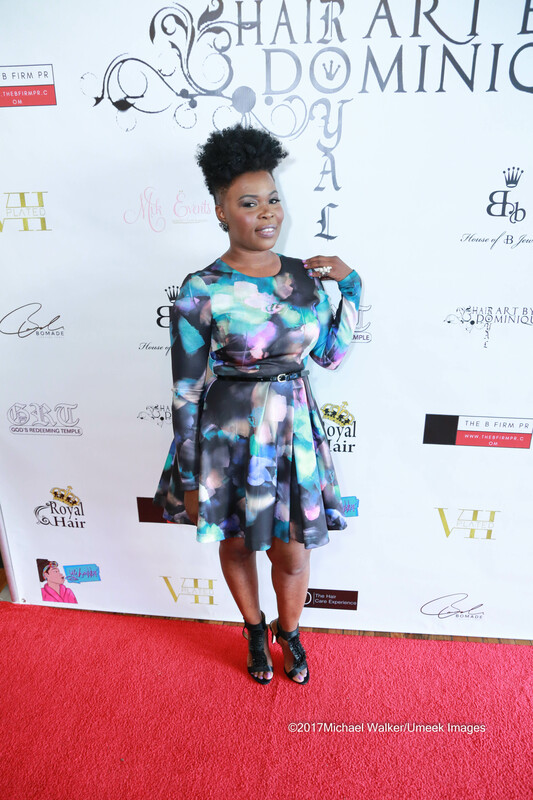 The event was hosted by the comical Vena Excell (@yesimprettyvee) who came equipped with positive vibes and plenty of laughs for the evening. MXKEvents designed this gorgeous, spring-ready decor for the evening. Honorees included reality television star, Mimi Faust of Love & Hip-Hop ATL; educator and marketing instructor, Quinita Morrow; creator and owner of Funhouse, LLC, Jai Jai; creator and owner of House of B Jewels, Brittany Leigh; president of Frank Ski Kids Foundation, Tanya Parker; global multimedia executive, Yvette Caslin; and radio talent, Judy “Jae” Nash, along with Dominique herself, who aside from styling the tresses of her celebrity clients, is also co-owner of virgin hair extensions brand, Royal Hair, Inc.
As I navigated the room throughout the evening, there was a genuine sense of #blackgirlmagic energy flowing freely. I was so proud to see mothers, daughters, sisters, aunts, and good girlfriends uniting in one space to celebrate, inspire, and uplift one another. There were definitely heartfelt, tear-jerking moments as honorees shared their stories and testimonies, but chiiiile when Erica Dias (@thebfirmpr) of The B Firm: Public Relations Consulting honored Dominique and Shay (co-owner of Royal Hair, Inc.) for their giving nature and servant’s hearts, it was difficult to find a dry eye in the room! Owners of Royal Hair, Inc. The epitome of sisterhood; we encourage, we inspire, we support, and we uplift. 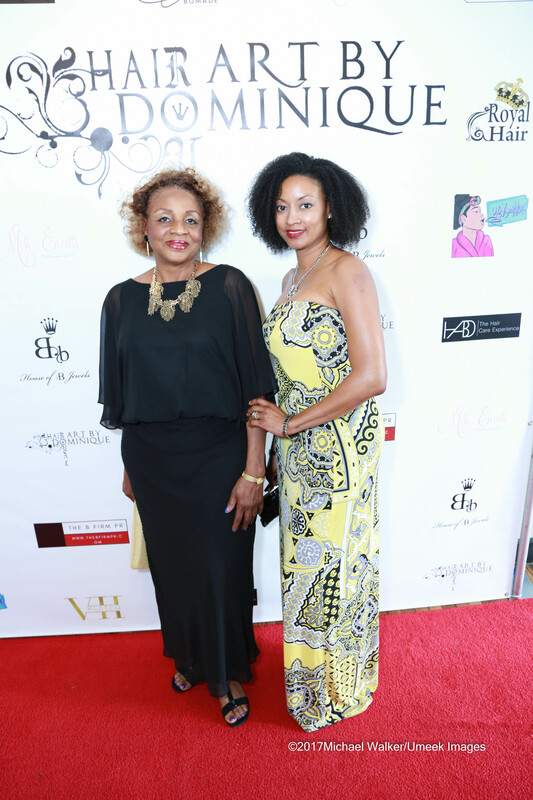 The owners of Royal Hair, Inc. share warmhearted thanks with guests. The Eduslaytor: You’re a huge Instagram sensation, and I am sure that you have a large following of young people who look up to you. What would be the one piece of advice that you would give to those who are looking to follow in your footsteps? Vena: Definitely be consistent. Walk in your truths. Stay true to yourself, and keep God first…and that’s what I did. I didn’t know what I wanted to do after college, but I was like look, hell, everybody told me, “Do comedy,” or “You’d be good for TV or radio,” so I was actually a radio intern at different radio stations, and now it’s like…[I’m] the girl with the pink robe! So, I just thank God for everything. Vena continues to serve as your daily dose of laughter and an inspiration to millennials simply seeking to accomplish their goals and become their own definition of successful. The Eduslaytor: You are the epitome of a “mompreneur!” What does that term mean to you? Brittany: Being a mompreneur means that you have to go get it! I built House of B Jewels in the wee hours of the night, once my daughter was finally asleep, and I did it because I had to…it was no longer just about me, but about me and my daughter. Brittany’s brand continues to grow and expand with the addition of House of House of Little b, which provides jewelry and accessories for your little diva. 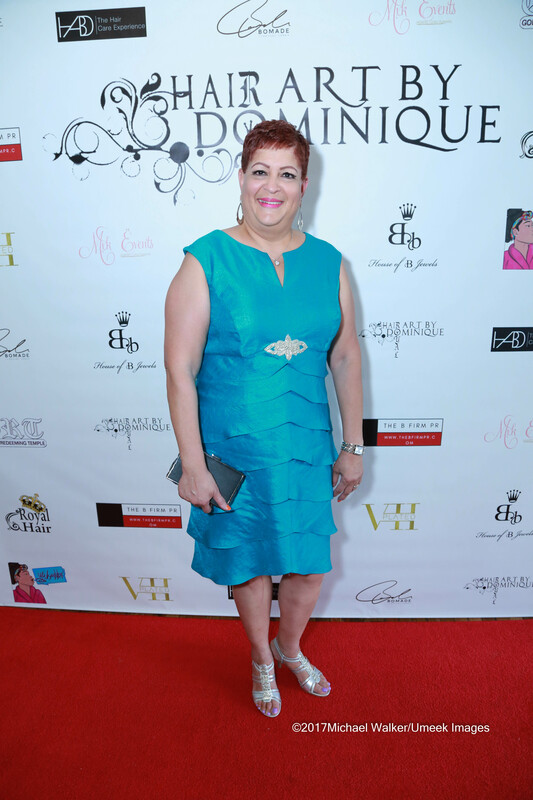 If you haven’t done so, I encourage you to visit House of B Jewels…like right this isntant! I can’t wait to rock and review my pieces from her collection. Thanks, Brittany! Cape dresses are on trend, and this lacy, white version is perfect for special occasions during the spring/summer seasons. Serving classic Marilyn Monroe in this red form-fitting gown with a mermaid hem. The host for the evening rocks a shoulder baring midi dress from House of CB. 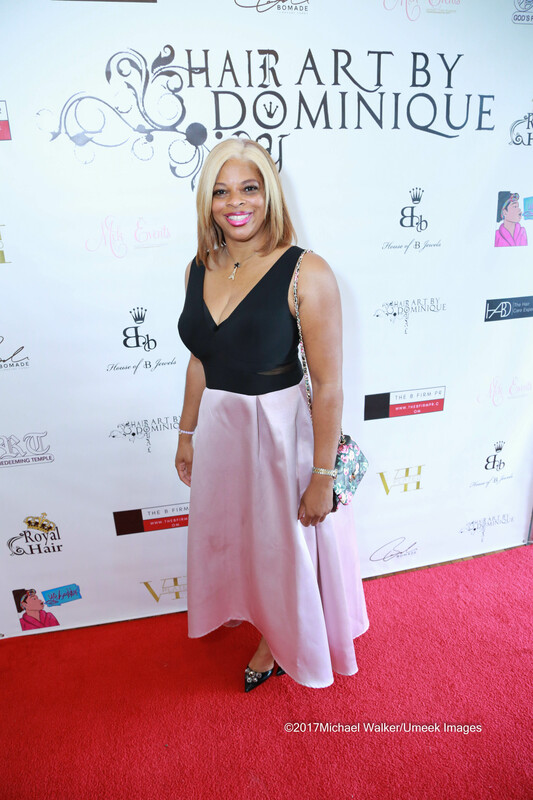 This beautiful wife, mother of three, and event planner looks stunning in a shoulder baring midi dress from Charlotte Russe. 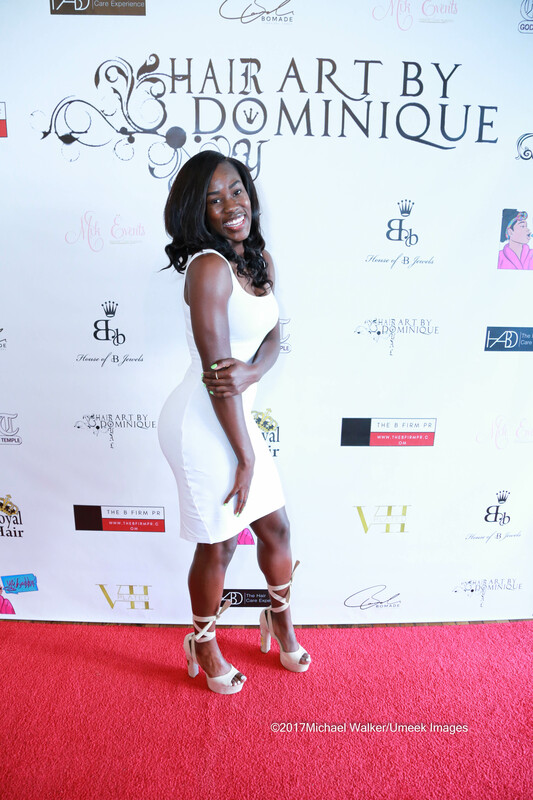 Personal shopper and stylist, Joi, rocks a fit-and-flare dress from Bebe. This vintage-inspired ensemble is perfect for any formal spring/summer event. These ladies look like BOSSES! I am smitten with mermaid (flared) hems! I also love the sheer details in this beauty’s top. Can we get into the ruffle details on this beauty’s jumpsuit? Mimi Faust is a “flower child” in this gorgeous sheer dress with floral detailing from H&M. I love that she accessorized her ensemble with a flower crown and tassel detailed heels. Dominique Evans looks absolutely stunning in an all-white cape gown adorned with embellishments around the neckline. She plays up her look with a red lip, which speaks elegance and regalia. You go, queen! Needless to say, with much thanks to Dominique and Erica, my life was given on a Sunday evening! In fact, I’m looking forward to the 2nd annual Cocktails and Conversations. Hopefully, I will see you there next year. Congratulations to all of the honorees and award recipients, and remember, no matter the hour or time of day, no matter the season that we’re in, no matter how intense the struggle is or how heavy the burden the rests upon us, no matter how high we have to reach or how deep we have to travel…#BLACKGIRLSROCK! Check out more of the fun below!